At least four children were killed and seven others seriously injured on Thursday after a train crashed into a school bus at a level crossing in southern France, police sources said. 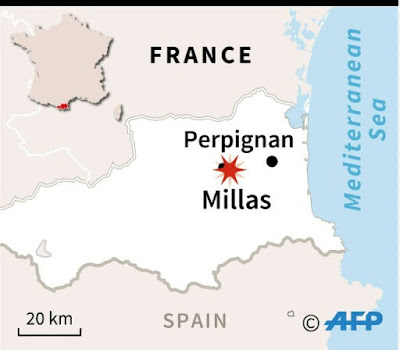 The bus, which was carrying around 20 students from a local secondary school, was struck by the train in Millas about 18 kilometres west (11 miles) of the city of Perpignan, close to the Spanish border. Nine people on the bus and three train passengers suffered minor injuries, the police said. Around 70 emergency workers, backed by four helicopters, were deployed as part of the rescue effort. France Bleu regional radio reported that the train ploughed into the rear of the bus, cleaving it into two. The local L'Independant paper cited one of the train passengers, named only as Barbara, as saying the impact "was very powerful and we thought the train was going to derail". Prime Minister Edouard Philippe and Transport Minister Elisabeth Borne were on their way to Millas from a meeting in the south-central city of Cahors. 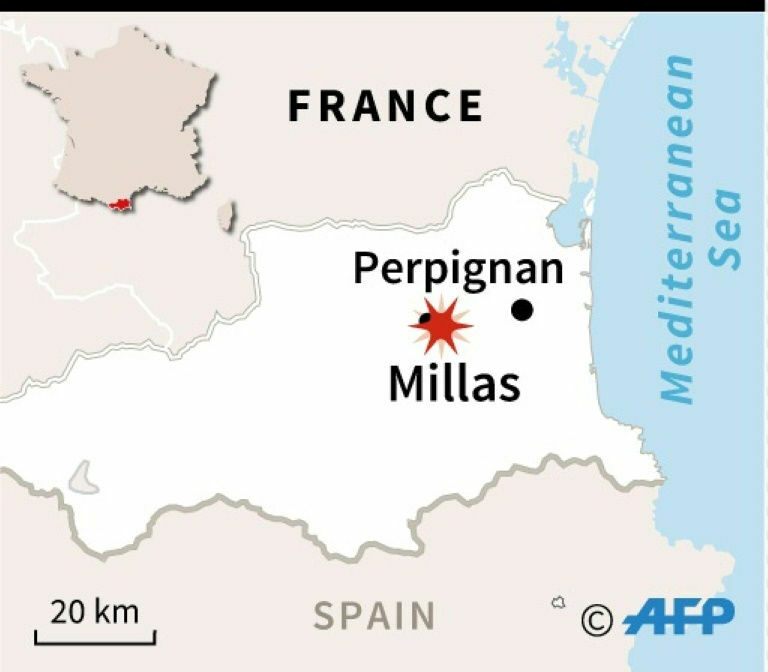 The security service for the Pyrenees area, where the collision took place, said the accident involved a train travelling west from Perpignan to the town of Villefranche de Conflent. In 2015, a high-speed TGV train being tested on a stretch between Paris and the northeastern city of Strasbourg derailed after hitting a bridge at 243 kilometres-per-hour, killing 11 people onboard. In 2013, seven people were killed when a commuter train crashed in a station south of Paris. A signalling defect was blamed for that crash.